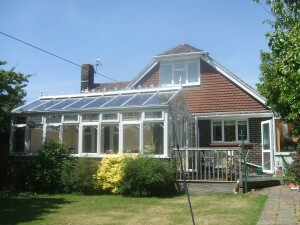 Here are before and after photos of a chalet bungalow in High Salvington, Worthing. 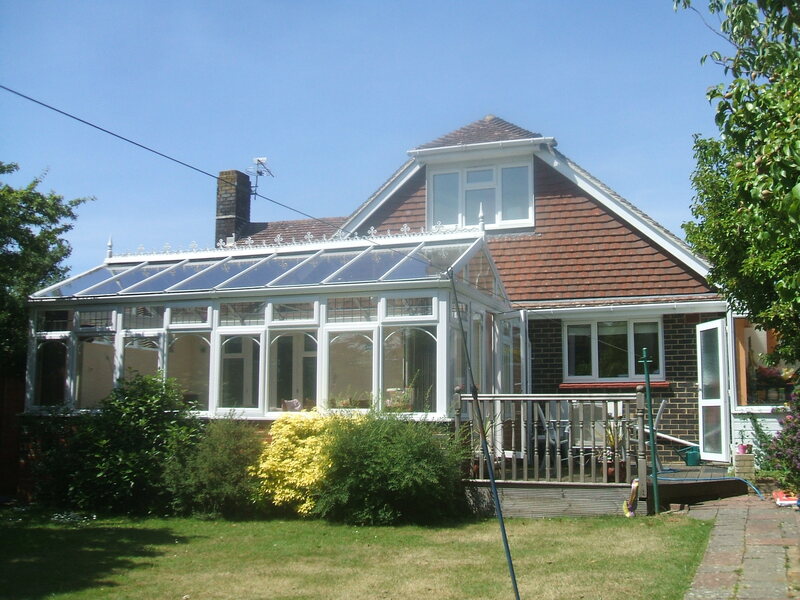 This property had four bedrooms and two bathrooms, but had quite a small kitchen and used the conservatory as the main dining room / second reception room. Horizon Design were asked to design an extension to provide a large kitchen / dining room and additional reception room which opened out to the large garden and provided ample space for all the family and for entertaining. We designed the extension, obtained planning permission and approval under the building regulations and work got under way. 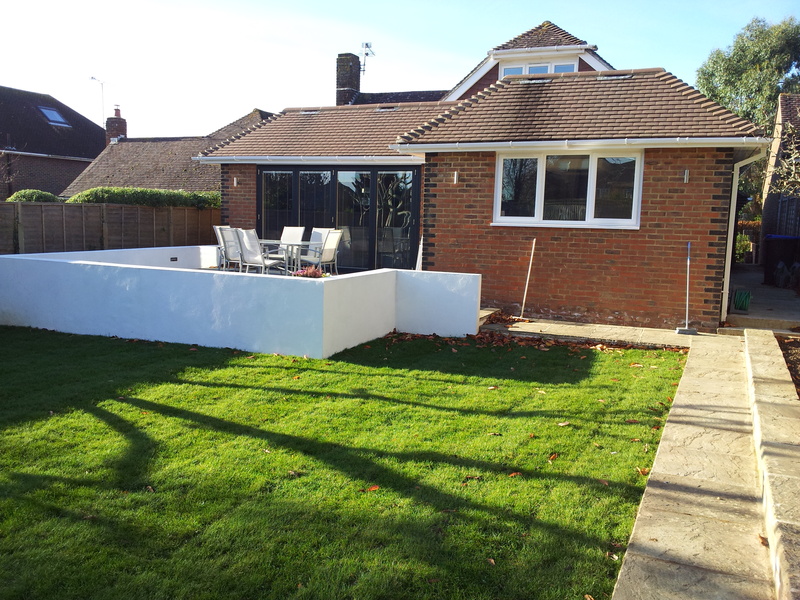 This extension transformed the house and how it was used, and the bi-folding doors provided a neat transition to the new patio and into the garden. For this project, the roof was formed in pre-fabricated timber trusses, enabling the roof to be formed and weather-tight in just a day.